Hej! Welcome to the 2011 World Scout Jamboree! 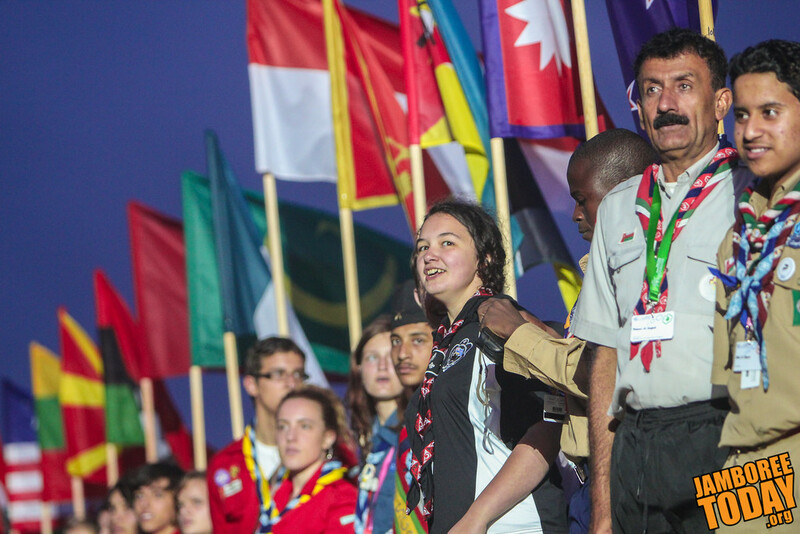 The flags of every nation with a Scouting program are presented at the opening arena show of the 2011 World Scout Jamboree in Rinkaby, Sweden. Read more: Hej! Welcome to the 2011 World Scout Jamboree! 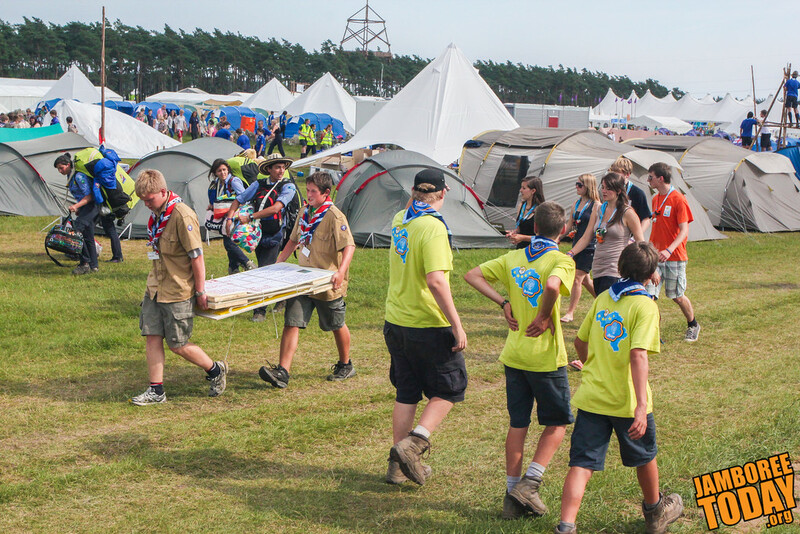 Assembling a campsite for 39,000 Scouts at the 2011 World Scout Jamboree in Sweden is no small feat, especially when there is no technology more advanced than a wheelbarrow to be found. Talar du svenska? Eagle Scout C.J. 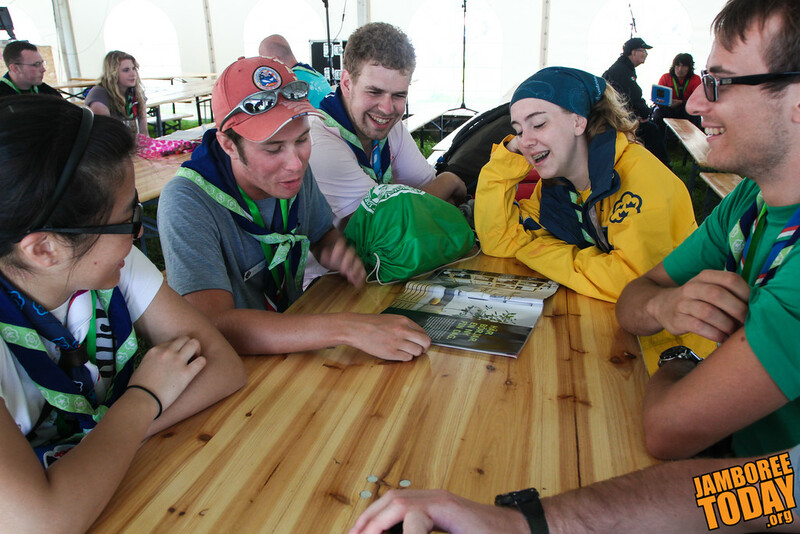 Rauch from the United States tries to read a Swedish magazine with new-found friends at the 2011 World Scout Jamboree in Rinkaby, Sweden. Rauch is one of 6,000 volunteers on the International Service Team which provides staff for each world jamboree. He was previously interviewed by Jamboree Today about his participation in Alpha Phi Omega, a national service fraternity during the 2010 National Scout Jamboree. 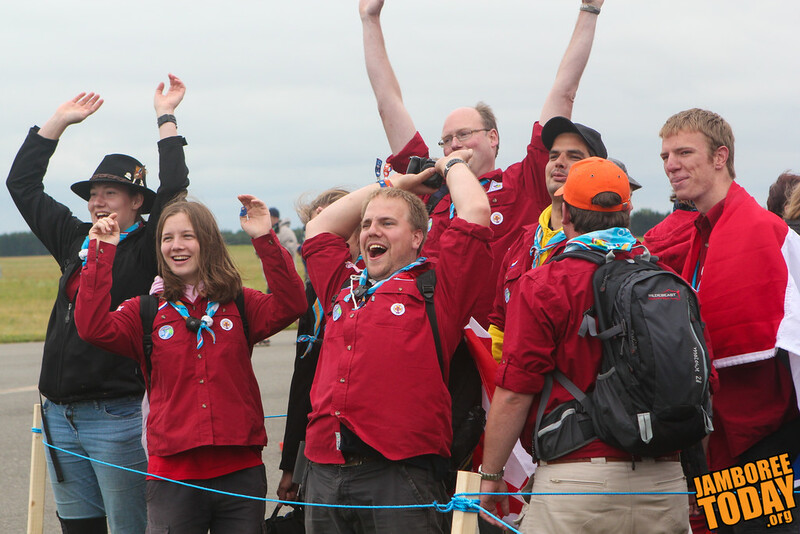 Welcoming the newcomers to the 2011 World Scout Jamboree in Sweden, these Scouts from France shout "bon jour" and start a stadium-style wave in the check-in line. 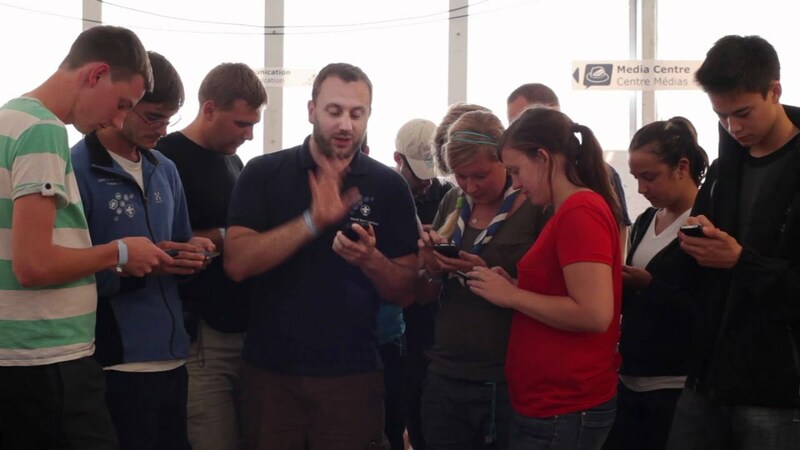 The smartphone app for the 2011 World Scout Jamboree has been launched and allows Scouts to find other users, easily exchange contact information and discover points of interest and navigate the Jamboree site. News and twitter updates about the jamboree are also easily accessible.